WASHINGTON (AP) — As Washington awaits word from special counsel Robert Mueller, three Justice Department officials inextricably linked to his appointment and tenure joined one another on stage Thursday for a ceremony honoring one of them — former Attorney General Jeff Sessions. "No attorney general's tenure goes exactly as planned. Unexpected developments always arise," said Rosenstein, likely an oblique reference to Sessions' unceremonious departure one day after the midterm elections. Rosenstein also read a letter from Sessions' daughter in which she said her father endured "relentless" attacks from critics without returning fire. The ceremony, during which Sessions was presented with the chair he used during Cabinet meetings, unfolded as Mueller prepares to deliver his final report on the investigation to new Attorney General William Barr, who also spoke warmly of Sessions. The event brought together in unusual fashion two Justice Department officials who have been attacked by the president — Rosenstein is expected to leave his position soon — and a third, Barr, who may also find himself fending off attacks on the Justice Department, depending on Mueller's findings. 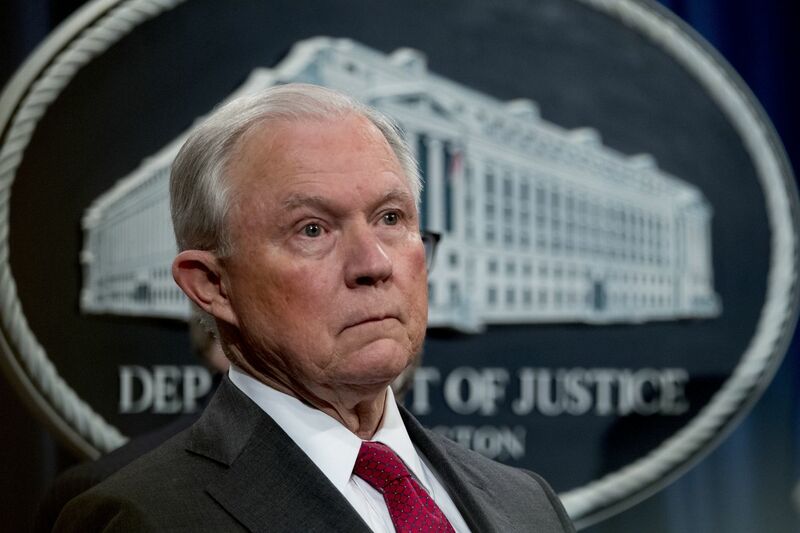 Sessions was lauded during the ceremony for his emphasis against violent crime, opioid addiction, and illegal immigration — priorities in line with the president’s agenda. But he endured scathing attacks from the president for most of his tenure following his decision in March 2017 to recuse from the Justice Department’s investigation into possible ties between Russia and the Trump campaign. He was asked to resign in November 2017 and replaced first by his chief of staff, Matthew Whitaker, and then on a permanent basis by Barr.